Keep your business and marketing ahead of the game with the most important marketing trends of 2019. Discover how to run more impactful, measurable campaigns. Marketing moves at the speed of light … er, at least it feels that way when you’re brainstorming a new campaign or strategy, and all of a sudden, a new statistic or technology release changes everything. On a yearly, quarterly, and even monthly basis, new trends and techniques pop up and transform the way we attract, connect with, and market to our audiences. But keeping up with the changes isn’t quite enough. To succeed in this fast-paced marketing world, you have to stay ahead of the game. 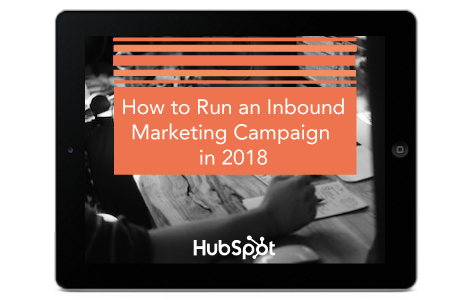 That’s why we created this guide — influenced by some of our very own HubSpot experts — so you can bookmark and return to the most important marketing trends of 2018, time and time again. If a certain marketing strategy or approach has consistently worked for your business, why change it? This just involves more time and energy, right? Nope. Changes in the marketing world happen because consumers change the way they shop, research, and spend their time and money … and changes in consumer behavior and priorities directly influence how they respond to marketing and advertising efforts. Staying up-to-date on (and ahead of) trends helps your company save precious time and money and ensures you’re marketing to the right people who are in your target audience … and ready to buy. So, sticking to your “reliable” marketing strategy might be cheaper in the short-term, but listening and responding to marketing trends will actually save you money and keep your business relevant in the long-run. More so, digital marketing changes practically every day. It is the internet, of course. And if you’re not marketing on the internet, you’re already far behind the curve, my friend. Marketing refers to a wide range of activities that promote and advocate for a brand, so the term “marketing trends” is pretty vague. That’s why we’ve organized this section by the type of marketing, as you’ll see below. Lots of things change in the marketing world, but we’ve chosen one or two for each section that we believe will best equip your business to succeed. The marketing funnel is no more, my friends. 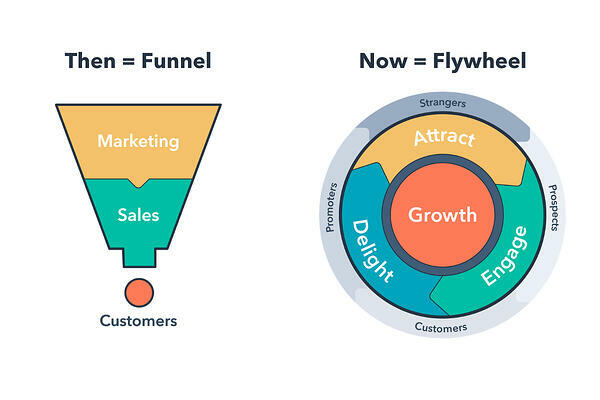 Today, the flywheel — and a subsequent focus on service — have replaced the one-way direction of the funnel. In the world of the marketing funnel, customers were an afterthought. Once they became a paying customer, businesses considered them obsolete — until, of course, it was time re-sign that contract. The flywheel, on the other hand, places the customer in the center. Since word-of-mouth marketing is the single most powerful marketing tactic, it’s wise to not only serve your customers but also equip them to become advocates for your brand. The flywheel illustrates this process: excellent service as its own marketing strategy. What does this mean for your business? Place a heavy emphasis on customer service. Train and equip your customer service team to not only handle requests and problems but also delight and empower your customers. All kinds of businesses in all kinds of industries are starting blogs, investing in content marketing resources, and paying for content-related advertisements. Why? Because 47% of buyers viewed three to five pieces of content before engaging with a sales rep, and 70% of people would rather learn about new products through content than traditional advertising. But contributing to a blog isn’t quite enough in today’s content dog-eat-dog world. To ensure your content is as effective and accessible as possible, you must pay attention to what type of content resonates most with your buyer persona. These videos can also be lower quality and still as effective, meaning a smartphone and decent lighting is all you need to connect with your audience. For more information on how to use video for your business, check out our guide here. When your brand pays to feature content on a third-party website, you’re investing in native advertising. 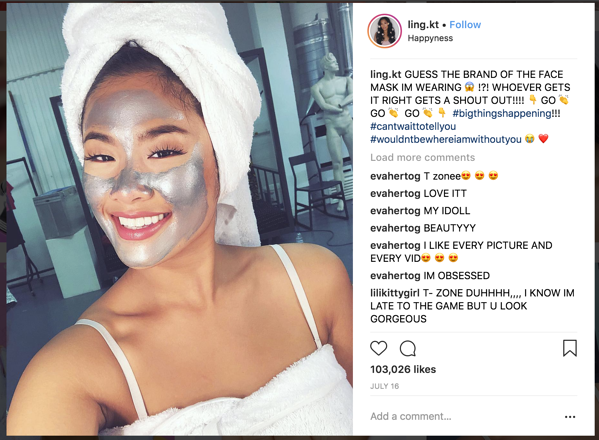 The point of native advertising is to naturally, organically advertise your brand or product within another environment, such as a publication, video, or graphic. Unlike traditional advertising, which is designed to interrupt and stand out, native advertising is designed to blend in and promote your brand to a new audience. Native advertising has been around half a decade, but campaigns are still as successful as ever, if not more. Because they don’t “feel” like traditional ads, consumers are more likely to consume and explore native advertising efforts. In fact, consumers view native ads over 50% more than banner ads. Buzzfeed is a popular publication and blog that routinely partners with brands for native advertising. In the example below, Google Home has published content on back-to-school recipes, and the only mention of the brand is in the byline. Google Home is advertising their product by incorporating their brand into otherwise native content. What does this mean for your business? Native advertising isn’t new, but it’s still just as effective. It shouldn’t replace all content marketing efforts, but it should definitely be added to or upped as part of your overall marketing strategy. Look for publications that are relevant to your brand, such as HuffPost for lifestyle brands or Entrepreneur or Inc. for business or B2B brands. 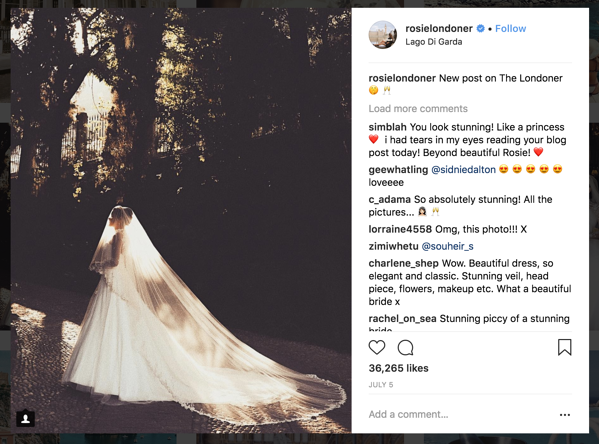 The process of publishing native advertising content is typically pretty straightforward, as long as your content isn’t blatantly promotional. 61% of marketers say improving SEO and growing their organic presence is their top inbound marketing priority. Are you one of these marketers? If so, have you figured out how exactly you plan to improve your SEO and organic presence? We encourage you to start with the trends below. Optimizing for the following consumer behavior will help your business become more discoverable online. Let me guess — you’ve used Siri, Alexa, Cortana, or Google Assistant in the last month or so. Am I right? Probably, because digital and voice-based assistants have taken over the world … or, at least how we search for and consume information. Because of this emerging behavior, businesses need to respond and change the way they frame information. Instead of catering to Google’s manual search algorithm, content should be framed around questions. Aja also encourages businesses to look for featured snippet opportunities, which are the information previews Google provides when users search for definitions or questions. Voice assistants typically pull responses from these boxes. 48% of consumers start mobile research with a search engine, and the first position on Google search results on mobile has a 31.35% click-through rate. It goes without saying that mobile usage is skyrocketing, especially for search queries and research. Due to this, businesses should ensure their website is discoverable and readable via mobile devices — both smartphones and tablets. Website speed is also becoming important as Google prioritizes better performing websites in their search engine results pages (SERPs). What does this mean for your business? If you’re not already, get familiar with how to design and optimize your website for mobile use. This typically requires a responsive design — meaning your website will “respond” and change its design and layout as users access it on their desktop versus their smartphone. For more information on this, check out our guide here. What does this mean for your business? Research ways you can incorporate AI into your business and marketing operations — not only to better serve your consumers but to also make your life easier. For more information on AI, read our guide here. Virtual reality is viewing a computer-generated, lifelike scenario. Augmented reality is viewing the real world augmented with visual, haptic, olfactory or visual additions. VR and AR offer different experiences, but both are making waves in the marketing world in 2018. And they’re affecting your lives, too. Ever watched a 360° video on Facebook? That’s VR. What about IKEA’s IKEA PLACE app that helps you visualize virtual furniture in your very real room? That’s AR. Right now, VR and AR are being used to supplement and improve customer experiences online and at events. In the future, though, marketers will need to integrate VR and AR into their marketing efforts … or risk falling behind. Marketers thus far have been slow to adopt this trend due to pricey equipment and bulky headsets, but as VR glasses and AR apps become more accessible, businesses can expect to add this technology to their marketing strategy. What does this mean for your business? VR and AR might not be necessary for your business and marketing strategy today, but you should definitely start thinking about it. The near future could bring about a mass adoption of VR glasses — not unlike smartphones or tablets. And if everyone has one, your business must, too. For more information, check our out guides on VR and AR. In the marketing world, data is valuable currency … and not just valuable to you, as a marketer or business owner. Whether their email address, credit card information, or smartphone location, consumers also view their data as precious and privileged. And it’s your responsibility to take care of it. Whether a software company, bank, government agency, or lemonade stand, each and every business operates using data. It’s the lifeblood of all things marketing, sales, service, and more. And hackers know it. When data breaches happen, precious information is siphoned into the wrong hands, leading to untrustworthy businesses and exploited consumers. That’s why the General Data Protection Regulation (GDPR) was enacted in May of this year. The GDPR is an effort by the EU to give greater control to consumers over their data. Under the GDPR, organizations must ensure that their data is collected legally and safely and that those who collect and manage said data will protect it and respect consumers’ rights. Following the GDPR guidelines might seem like a burden, but being fined for non-compliance will feel much heavier; fines range from 10 million euros to 4% of a company's annual global revenue. Is this a risk you want to take? What does this mean for your business? Do your research! Read our GDPR guide and peruse our GDPR checklist to ensure your business is compliant. You’re up to speed … for now. If your current campaigns and advertising don’t align with these trends, don’t fret. Slowly apply these changes to your marketing efforts, and be sure all of your activities are compliant and legal. As long as you’re keeping a thumb on the pulse of current marketing trends — and remain open to change — you and your business will never fall behind.